Let’s meet up infront of Hachiko!! This is like a platitude in Tokyo. Thousands of people use Hacchiko statue infront of Shibuya station in Tokyo as a meeting point. 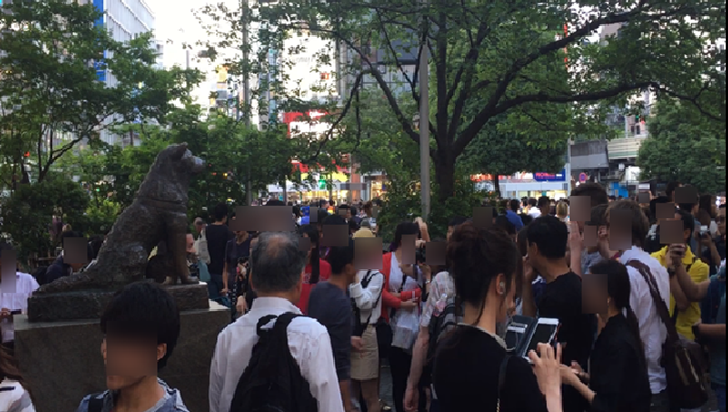 Actually it is hard to find friends around Hachiko statue because always crowded like picture below. Sometimes you can meet with cute cat at Hachiko statue!! 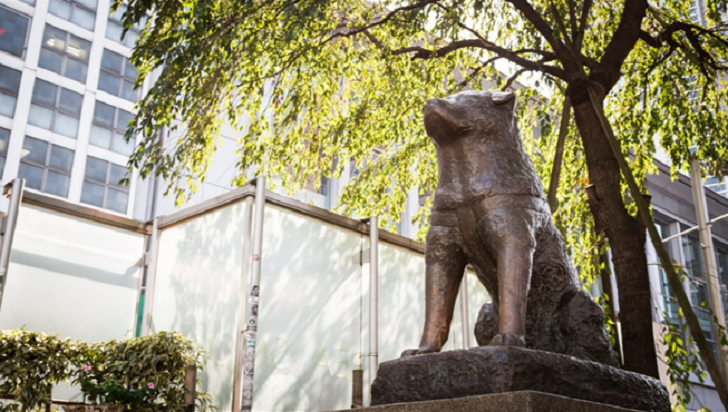 The Hachiko statue was made for the one of most famous dog “Hachiko (Akita Ken)” as a symbol of loyalty. 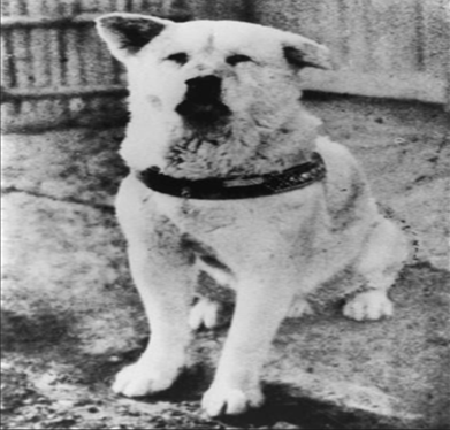 Hachiko was born in 1923 and professor Ueno adopted him after a year. The master Ueno everyday tooks Hachiko to Shibuya station in Tokyo for his work and Hachiko wait him there. One day, proffesor Ueno passed away during his work and did not come back to Shibuya station. 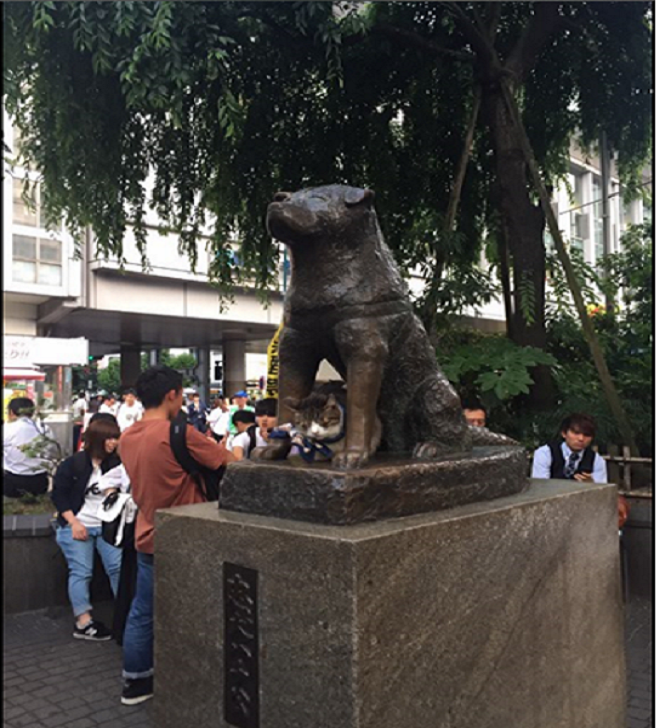 However, Hachiko kept to wait his master infront of Shibuya station for almost 10 years. Because of the history, Hachiko statue was made for a symbol of loyalty. The Hachiko story became a movie named “Hachiko Monogatari” and it gives different viewpoint for Hachiko statue.